With denominations ranging from 1¢ to $500, MGM Grand Las Vegas offers thousands of slots, video poker, and multi-game machines. 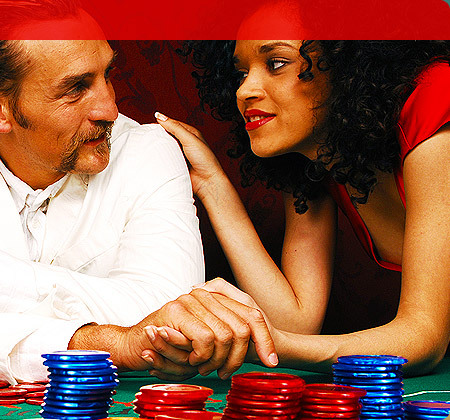 For the high-stakes slot enthusiast, MGM offers the largest high-limit slot area on the Strip. Providing unsurpassed service, the high-limit area features a private lounge and private bathrooms. 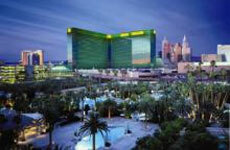 Plus friendly slot hosts provide personal service that is pure maximum Vegas. 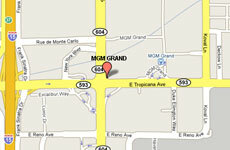 For even more excitement, try our custom machines that you won't find anywhere else in Las Vegas. Majestic Lions, MGM Grand's most popular $1 progressive machine, pays out over $750,000 each day. Want more? For a chance to win $1,000,000, take our exclusive Lion's Share slot machine for a spin. On MGM Grand's casino floor, you'll find rows/banks of progressive slots, which have paid some of the largest jackpots in history. You can play single machine progressives, or try for even larger jackpots on one of our machines with multimillion-dollar prizes. Quick Silver, one of our newer games - available only at MGM MIRAGE properties - is available in nickels, quarters, and dollar denominations and can pay a lucky winner over $100,000. Anytime you're playing slots and need help, turn on the light atop your machine and someone will be with you promptly. The MGM Grand's Poker Room is unmatched for comfort, amenities, and fast-paced action. Our 22 table No-Smoking Poker Room is open 24 hours a day, and provides convenient tableside food and beverage service. If you want action, we feature a variety of the most popular games, including Limit and No-Limit Texas Hold'em, 7Card Stud, Omaha, and Mixed Games. We feature daily tableside massage service performed by licensed massage therapists. 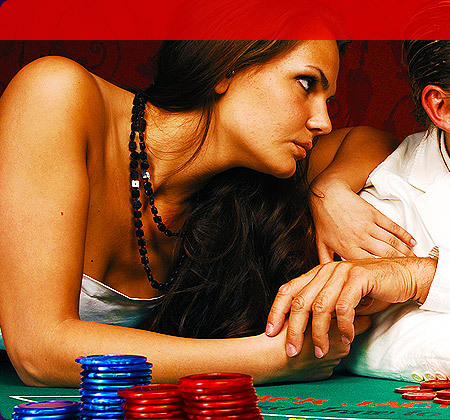 No Limit Hold'em Tournaments now being held Sunday through Friday. Every Monday through Friday at 11:05 a.m.
Every Sunday through Thursday at 7:05 p.m.
MGM Grand's Race and Sports Book is a state-of-the-art 5,300-square-foot betting arena, located near the action of the high-energy Studio 54, the heart of one of MGM Grand's most dynamic neighborhoods. Adjacent to our Stage Deli, we offer seating for 104 guests, with thirty-six 60-inch plasma televisions, eight 42-inch plasmas, six electronic display boards and 17 separate race and sports betting counters. MGM Grand's Race and Sports Book is capable of receiving more than 30 channels of simultaneous action from all major international athletic and racing events, including the four major sports along with boxing, soccer and championship golf. Additionally, 49 main floor seats are outfitted with individual 15-inch color televisions, allowing guests to personally access a network of racing and sporting events from around the globe. There is complimentary beverage service for Race Book guests. And to top it all off, this is the first Race and Sports book in the industry to offer "Skyboxes" for its guests. These four Skyboxes, ranging in size from 300 - 325 square feet, are each equipped with the latest technology available, including plasma televisions, surround-sound audio and CD systems. Our Skyboxes offer a special second-level view and can comfortably host eight to 10 guests.